From Outstanding, is the only way to go down? ‘Nobody wants to lead an outstanding school. There is nowhere to go other than down!’ So said an erudite colleague to me when I mentioned that I was looking to move on to lead another school. It was not without a small degree of trepidation therefore that I was appointed to my second headship a short while later – this time to lead an outstanding school. Two years in we were re-inspected and again achieved outstanding. The relief was palpable. When I had taken on the school, I felt it was no longer excellent – good, yes but outstanding no. In the space of two years we managed to get the data back to excellent – without it you won’t achieve the outstanding label. Although, perversely, having the data is by no means a guarantee of getting the accolade. What inspectors see in the classroom must reflect what the data suggests – excellent practice. 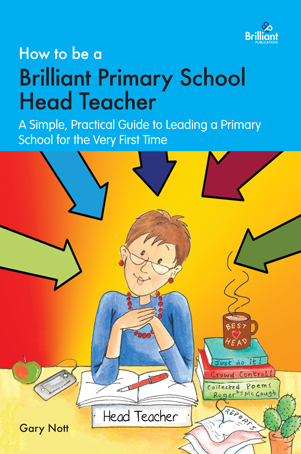 In my new book, How To be A Brilliant Primary School Head Teacher, I outline some of the facets of an outstanding school, whilst trying to describe some of the features that people attribute to outstanding leaders. Two of these school features spring to mind in writing this blog entry. Firstly, we coined the term Mentoring Mondays to describe our approach to supporting colleagues to develop their practice. I nabbed the idea from McDonald’s Fruit Fridays when sharing a snack with my son. On each Monday morning, we would release a teacher to observe a colleague teach an outstanding lesson. Then on the Monday afternoon, the released teacher would team teach a lesson to their own class alongside that outstanding colleague. The end of the day would be spent sharing key lessons learned during the day. Colleagues appreciated this investment in them. The cost of releasing colleagues from class responsibilities to benefit from such an exercise on the one day was easily offset by money saved from the external courses budget. Secondly, we devised a simple way of tracking children’s progress in the school that was bespoke to our children. We took an aircraft flight as our analogy. We quantified progress and attainment using a points systems we devised and from this could calculate a class’s progress – which we called ‘speed’ – and their attainment – which we called ‘altitude’ – which we then brought together in what we called a cockpit summary. A class could be flying high and fast or low and slow. The visual representation of this on a cockpit dashboard led us to create flight plans for each class – showing where we wanted them to be (their destination) and when we expected their flight to land. Was their flight on time or likely to be delayed? Inspectors liked the idea and suggested that we go further and devise a flight plan summary for each child. The difficult thing of course is maintaining the outstanding label. It can itself become somewhat of a cross to bear. Some staff feel that to maintain the high standard is not achievable if they are to maintain a healthy work-life balance. As the new Head of OFTSED considers dropping it from her armoury, there will be many in the profession keen to see it go. I have found that my own school has seen significant changes in the past five years. The percentage of children entering the school at below levels that are typical for age has doubled. This has brought new challenges – and opportunities to grow too. In such circumstances, to hold on to the outstanding label is a big ask. You have to keep reinventing yourself; if you stand still there is indeed only one way to go, as my former colleague said to me. 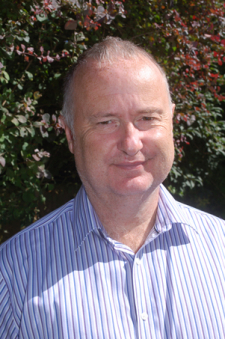 Guest blog by Gary Nott. I hope you enjoy this classroom experience shared with us by @GloucesterEd. A timely reminder not to get carried away in the moment. Watch out for more of his postings in the future.